After he sliced up his hand in warmups against the Bears, it looks like Tom Brady has made a speedy recovery. Earlier today, it was announced that the future Hall-of-Famer will play against the Panthers on Friday night. It's welcome news for Patriots fans, who can now breathe a collective sigh of relief that their Golden Boy is healthy and ready to go. Last week in warmups, Brady cut his hand while trying to get something out of his cleat. While it never looked especially serious, the tension was heightened by the fact that Brady missed practice for a few days during the week. Thankfully for fans, it wasn't football-related, but it still figures to weigh heavily on the QB's mind in the coming days--he was missing practice to attend a family member's funeral. With that in mind, we here at PatriotsLife want to wish Brady our sincerest condolences, and we hope his family can persevere through the tough days ahead. Considering the game, it's still not known who's going to start, though it figures to be Brady. 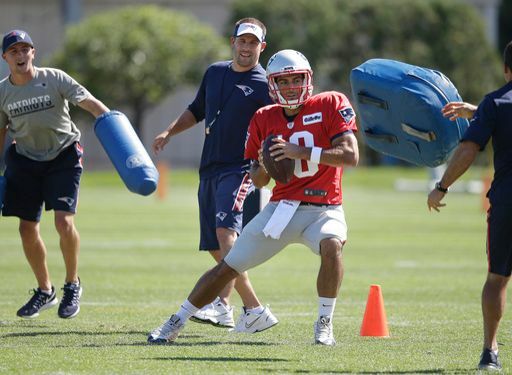 With the 3rd preseason game serving as a "dress rehearsal," Brady, as the starter, should start, but don't be surprised if Jimmy Garoppolo sees the vast majority of the snaps. The Patriots are notorious for switching things up unexpectedly, and this would be no different. I would expect Brady to play one quarter of the game and a bit of the second at most, and for Garoppolo to take over before halftime. Because Jimmy G will start the first four games either way, Bill Belicheck probably is focused on getting him as many practice reps as possible before the games actually count. 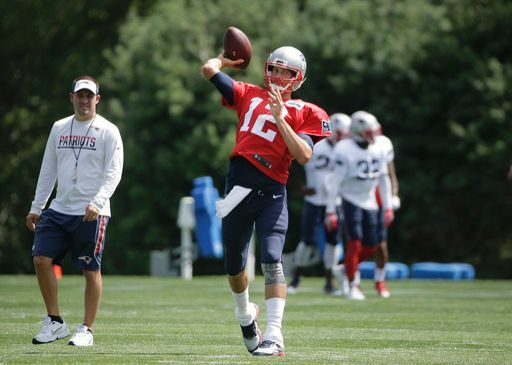 Even though we don't know who will start Friday night, the good news is that Tom Brady is healthy and ready to go. Expect the quarterback to light it up against Carolina, and for Jimmy Garoppolo to come off the bench to try and keep the momentum going. No matter what happens, it figures to be an exciting game.